Bochnia Salt Mine is a great proposal for those who want to experience unusual adventure. 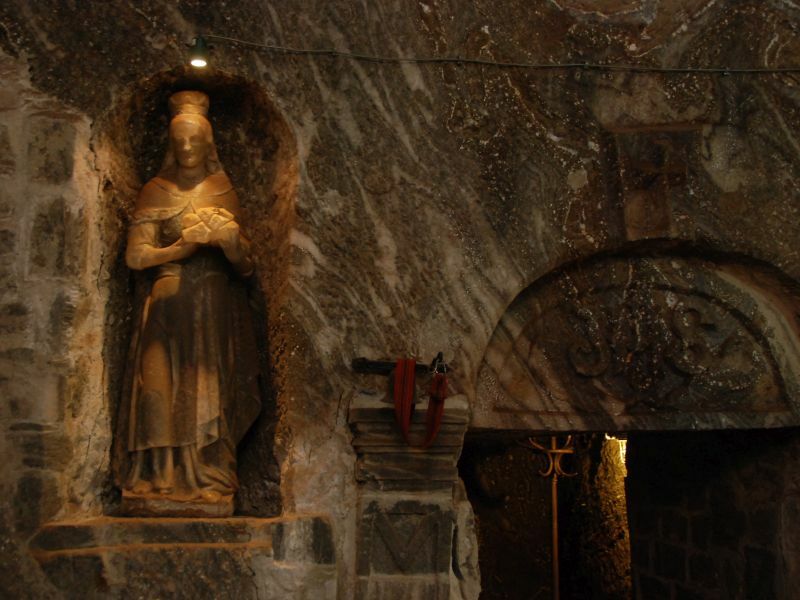 It may be a great alternative to the more popular and always crowded salt mine in Wieliczka. Both are inscribed on the UNESCO list. 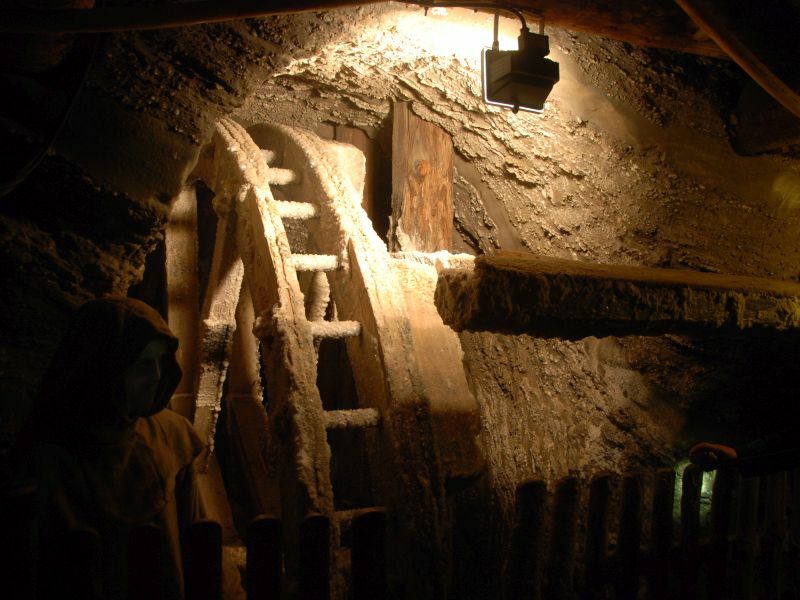 An hour drive from Krakow will take you to the oldest salt mine in Poland. Its origins dates back to 1248! Visitors come to see the oldest and most beautiful nooks of the mediaeval mine. This is a truly extraordinary journey through the underground town of salt chambers, excavations and chapels. Bochnia Salt Mine surprises with numerous attractions. You will learn the story of the mine from the fascinating multimedia exhibition and take a ride with a special underground train, which actually rides through St. Kinga’s Chapel! For those courageous who are not afraid of speed, a 140 meter (460 ft) wooden ramp is waiting to slide down between the mine levels. 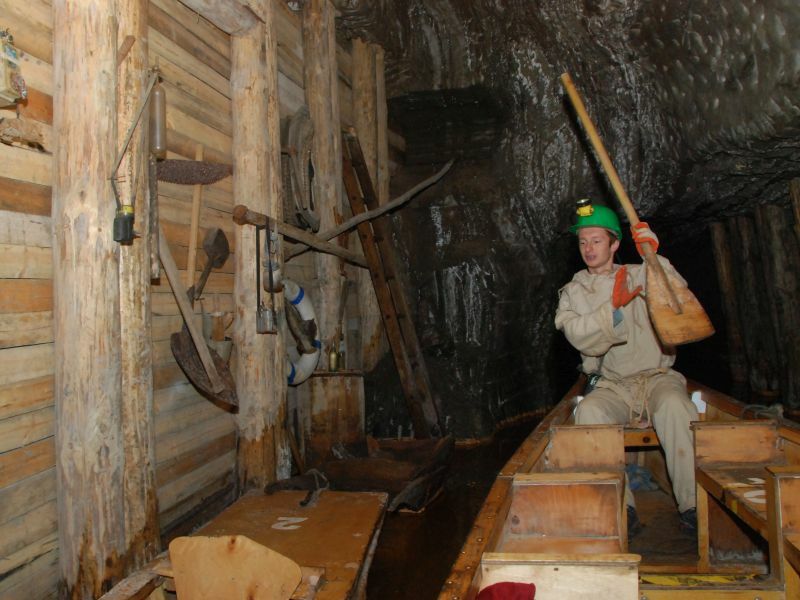 Finally, you can take a boat trip across a chamber filled with brine, an unforgettable experience and biggest attraction of the mine. Thanks to the specific microclimate, Bochnia also has an underground spa facility. Transportation as above, private driver, guided tour of Bochnia Salt Mine, VAT.